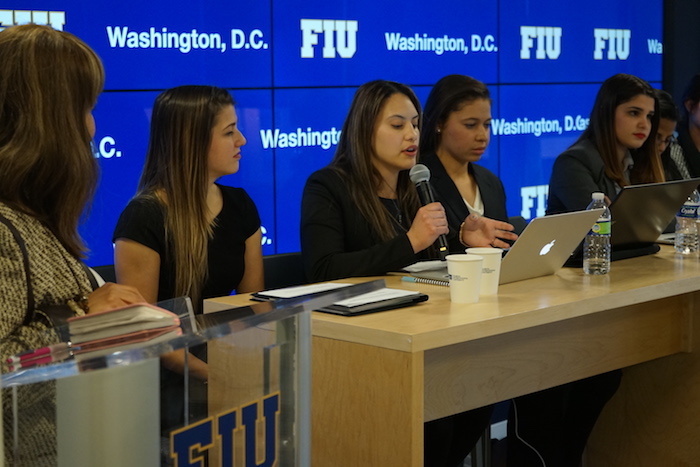 FIU women leaders presenting to a national audience at FIU in D.C.
Ryder, a U.S.-based provider of transportation and supply chain solutions, recently granted FIU $30,000 through the Ryder Charitable Foundation. The Ryder Women in Leadership Executive Education Scholarship will increase access of promising female leaders in business, management, technology, logistics, transportation, supply chain management, data analytics, human resources management and STEM fields to advanced leadership development and executive educational opportunities in the nation’s capital. Specifically, the scholarship will fund the attendance of 10 women to a 2-day cybersecurity strategy and leadership executive education course April 6-7 in Washington, D.C. The course is being offered by FIU’s Steven J. Green School of International and Public Affairs, College of Business, in partnership with the Organization of American States (OAS) and FIU in D.C. Interested students can apply here by March 29. The foundation will also fund a Ryder-FIU in D.C. Transportation & Logistics BizGov intern who will gain both federal relations experience in D.C. and corporate experience in Miami. 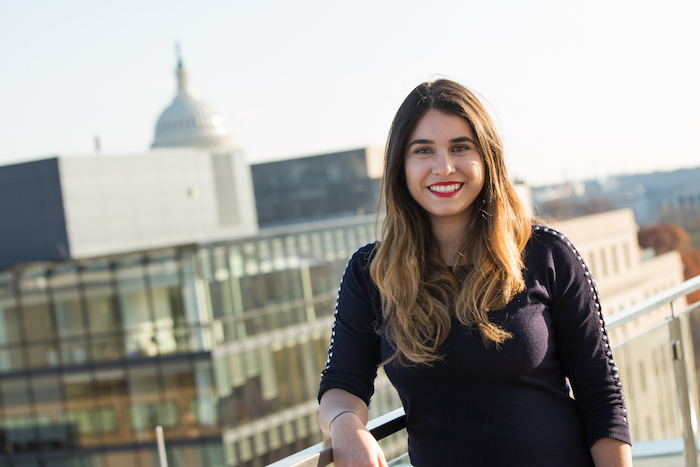 The promising FIU undergraduate or graduate student will work at FIU in D.C. in the summer, gaining knowledge of Congress, the federal government, policymaking and national trends in the industry. He or she will attend transportation hearings, national association events, and actively contribute to the area of transportation – one of FIU’s preeminent strengths. Following the summer experience, the intern will work at Ryder’s corporate office, having benefitted from the federal lens he or she gained prior to obtaining hands-on industry experience. “Ryder is proud to support FIU and to empower opportunities for both high potential women and diverse students to access executive education and learn more about the technological advances and growth of the transportation and logistics industry,” said Ryder Chairman and CEO Robert Sanchez. While in D.C., interns will also have access to the tailored career services offered at FIU in D.C. – from leadership development to networking opportunities with alumni and high ranking officials. For more information or to learn about ways to partner with FIU in Washington D.C., contact Larissa Ramos, associate director of Strategic Partnerships and Programs, at 202-558-3463 or email ramosl@fiu.edu. Read more about FIU in D.C. and the internship experience in FIU Magazine.